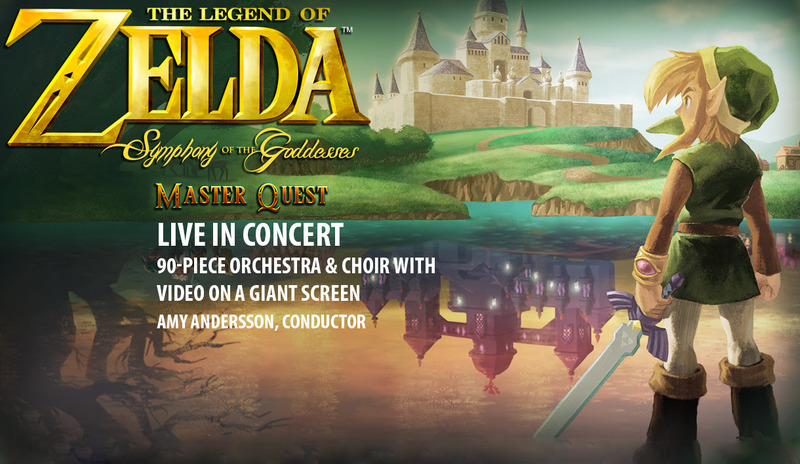 What: The Legend of Zelda: Symphony of the Goddessed – Master Quest with live orchestra. Tickets: $40.00 – $100.00, you can purchase them here. I’ve noticed most people either dabble with Zelda games or have completely uncovered every secret and know every dungeon inside and out. There are tons of great Zelda Rom Hacks out there. So many that I decided just to cover one from each original game. If you want to have that fresh, new adventurer feeling all over again, check out these amazing hacks. Remember, these are just code patches so they’re completely legal as long as you apply them to your legally obtained ROM. Patching the original rom is not hard, just follow our IPS patching tutorial to learn how to do it. What It’s Like: Like Playing Zelda for the first time again, but with more headaches. Zelda Outlands it filled with amazing new challenges. Outlands is one of the first romhacks I ever played and it is amazing. The game keeps all the original graphics, sound and music but redoes almost everything else. The dungeon locations are all different. There are tons of secrets and new enemy behavior. The 2nd quest is one of the most ridiculously hard things ever contrived in a video game. No joking, you won’t even get your sword in the first hour of play. All that aside, this is a truly enjoyable romp for a Zelda fan. Have fun finding the sixth dungeon without consulting a FAQ. What It’s Like: Uncovering a whole new 8 levels of Zelda II. Sometimes I feel like I’m playing Metroid in Zelda 2 Part 3. Ice Penguin has made a bunch of Zelda hacks but most would agree this is some of his finest work. Almost every area is remade and the dungeons are particularly awesome. There’s a lot of little graphical updates too that add some new flavor to the game. There is a new plot and other little surprises along the way. You might get off to a tough start with this hack since it’s pretty tough until you have built up your levels a little bit. Just wait until you encounter Thunderbird! While not everyone loves Zelda II, if you are a fan, this game will definitely satisfy your craving for more. Check out any of Ice Penguin’s other hacks too. They’re all of a similar caliber. The makers of Parallel Worlds must have dedicated months to this pristine hack. The level of detail in this hack is just amazing. There’s a whole new story, awesome dungeons with monstrous changes and insanely tough boss battles. The dungeons require a level of dedication that few gamers possess. Some have 4 different inside/outside sections, pretty much just to make you pull your hair out. There is tons of backtracking required whenever you get an item or a key. The craziest thing to me was the fact that I didn’t even get my sword until passing most of the first area. It really changes the gameplay. While this game is only three dungeons long, it’s completely redone with new story line, acting sequences, side quests and multiple endings. They even redid most of the music or at least sort of remixed it. It’s not really long, but that might be part of its charm, really. It’s just a great fun nostalgic game. Highly recommended.